With a new event, comes new boxes. Are they good boxes? Maybe, but not as good as the boxes that were out for the Lunar New Year event, unless you crave star pieces and lure modules, then you have come to the right place. Let’s look at an in-depth box analysis for these deals we have until the 21st! With the items out of the way, let’s look at the value of each box, noting that we have priced Lucky Eggs at their 8-batch price as opposed to the single buy, making one Lucky Egg worth about 63 coins, to present the best idea of ‘bulk buying’. Star Pieces have been priced at 50 apiece since they were once in the shop priced at 400 coins for a bulk of 8. Overall when analyzing this box, the number of passes seem to provide decent savings for players who love a good variety in their boxes. For players who want more passes and don’t much care for the other items, buying raid passes individually will yield you about 4 more passes with the coins it takes to buy the Ultra Box. But, if you are liking the way these boxes look, let’s delve in a little deeper. For players to spend only a few coins, this box is not awful. With one more raid pass and egg incubator than the last box, the deal pays for itself already. 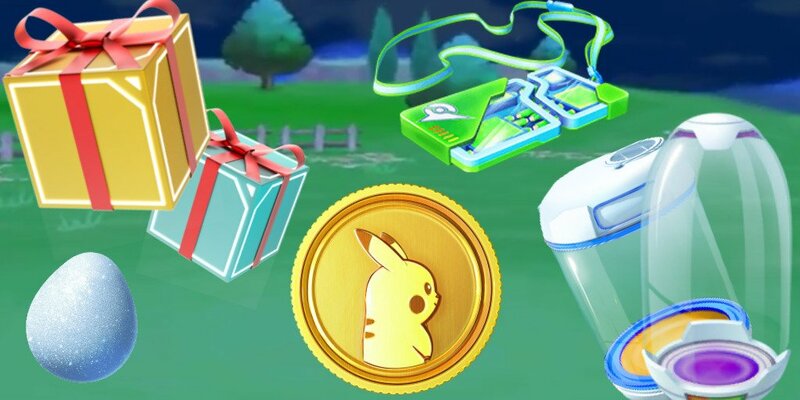 The addition of two star pieces (which will last an hour on Community Day) and three lure modules (which last six hours each during the Valentine’s event), the box offers a lot for the low coin player. Oh Lucky Eggs, it is a little bit late for you. With the new Valentine’s Day event starting, and the double XP Lunar Event Ending, the need for Lucky Eggs has gone to the backburner. The Super Incubators pay for themselves though, an 800 coin value alone. The Lure Modules will find themselves placed in this event nicely, assuming you are not already drowning in them. The big kicker, only because we know that Niantic is capable of better. For the event, it works well, providing a rounded amount of Raid Passes, Super Incubators, Star Pieces, and lures. Raid Passes and incubators are always needed, and if you desire both, then the Ultra Box is your bet. Though having fewer Raid Passes than the Lunar New Year box, it makes itself look more appealing with the addition of the Star Pieces and lures for the same reason they are in the Special Box. If you are gathering coins for boxes, or just bought the last set of boxes, and you do not need Star Pieces or Lure Modules… it would be okay to skip out on this set, possibly waiting for a decent Community Day Box. We know that Niantic sometimes adds more incubators or Raid Passes to certain boxes, so it is okay to hold out for another box with 12+ Raid Passes or incubators. If you do, however, want Star Pieces and lures for this Valentine’s event and Community Day, then these boxes are prime for the picking.